Lending guidelines have seen drastic changes in the last few years. 2014 FHA requirements could see significant changes under the 1st time house buying and streamline program. If you currently have a loan insured by the Federal Housing Administration, then you would benefit from learning more about the latest program revision. Ask about your eligibility and potential savings that may be available through this refinancing product. Is FHA Immune to Higher Down-Payment Requirements? First time homebuyers have always migrated towards FHA because of the low rates and minimal down-payment requirements. Read more about lawmakers considering raising the FHA down-payment rules and requirements. Read more about how the changes to the 2015 FHA requirements could affect you. 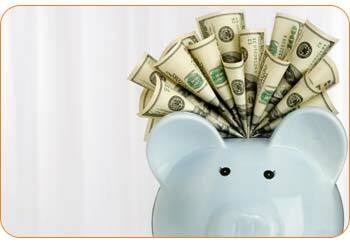 Realtors and Lenders hoping for higher FHA loan limits in 2014. Find out what this means for you in your area. With the government loan defaults rising, HUD announced many FHA requirements changed for their home financing initiatives nationally. Several times in recent years, FHA loan requirements were tightened on FHA credit, FHA down payments and maximum LTV limits for cash out transactions. With FHA interest rates falling to record lows, it is imperative that you understand the new FHA requirements and how they could affect your eligibility. HUD has gone to great efforts to ensure that FHA loan guidelines encourage first time home buying, affordable refinancing and much more. For example 1st time home buyers are allowed to use gift funds from friends and relatives as long as the down-payment funds can be documented. Just a few years ago, HUD announced significant changes to their FHA loan guidelines that would have significant impacts for several FHA loan programs. After being battered by loan defaults for consecutive years, HUD increased the amount of home equity required for cash out loans to 15%. Previously, FHA only required borrowers to have 5% equity in their home. The maximum loan to value allowed on cash out loans is 85%. In this volatile market, FHA loan requirements have been changing frequently so check with a loan consultant from time to time if you are shopping for mortgages online. 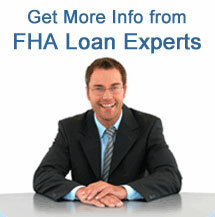 Find out if you are eligible for FHA financing, because FHA rates are more affordable than ever. FHA credit score minimums have been implemented by many FHA lenders, so check with your loan officer about your qualifications and eligibility for FHA loan programs. The other significant change that HUD made was raising the down-payment requirements from 3% to 3.5%. Requirements for FHA loans continue to be appealing for 1st time home buyers, underwater homeowners and people with bad credit, so take a few minutes and compare quotes from leading FHA lenders. Will FHA Loan Guidelines Ease Home Buying and Refinancing Standards this Year? – Many lenders and brokers have been pleading with HUD to lighten the load on borrowers. With property values dipping in many states, qualifying for a great rate from a mortgage refinance lender last year was more difficult than in previous years. The Federal Government has gone to great lengths to make the FHA home loan requirements attainable for as many borrowers as possible. The Department of Housing and Urban Development recently announced that FHA would see easier requirements for FHA loans after a foreclosures or bankruptcy. In the past FHA required 36 months to pass for consumers to be eligible for any FHA programs. Now they only require 12 months of timely mortgage payments to be considered after a short-sale, loan default and even a bankruptcy. This is good news for people trying to get back into the housing game after a foreclosure. Applicants must complete at least 1 hour housing counseling from HUD between least 1 and 6 months before submitting the application for a FHA mortgage. After an applicant meets the standards outlined above they can take advantage offered with FHA mortgages. This is an example of one of the ways our government has eased FHA loan requirements this year in an effort to rebuild the housing sector in the U.S. If you are looking for a Federal Housing Administration loan, you probably already know that these loans make it easier for buyers to become home owners. Even if you have had difficulty with credit or finances in the past, an FHA mortgage can help. Although the process of getting an FHA loan is relatively straightforward, most home buyers are a bit overwhelmed by real estate jargon and paperwork. Working with an approved FHA lender makes the process much easier, of course! Before you even seek out an FHA lender, it is a good idea to get informed about the basics of the program. This will help you compare FHA options from different lenders and get the best deal for you. Let's explore some of the most important FHA mortgage requirements in 2015. The minimum FICO score required for an FHA loan is 500. Higher scores may be helpful. The minimum down payment for an FHA loan is 3.5%. In rare cases, it may be 5% or more. If you do not have the money for a deposit or a down payment, a third party can help you. You can only apply an FHA loan toward a residential property you wish to use "full time." Regardless of your financial history, you must have 24 months of steady employment now. If a structure is found to have mold or other major problems, it may be necessary to remediate these issues prior to closing. However, these and other closing costs can typically be financed. The Federal Housing Administration is a part of the federal government under the Department of Housing and Urban Development. It does not, however, make loans directly. Instead, it helps to insure your loan so that lenders can be freed to loan more money. As with any home loan situation, it is important to close as quickly as reasonably possible in order to get the best rates. FHA lenders typically specialize in this kind of loan, so they can accelerate the process and make it easier for you. Loan requirements for an FHA mortgage are easier than they might seem at first, so getting in touch with a mortgage advisor versed in FHA is a good first step. You might just find that you are soon on your way to the home of your dreams. Underwriting guidelines change frequently so check with your lender in regards to the current FHA loan requirements.